CIOs are turning to centralized network management solutions such as Cisco’s DNA Center to prepare enterprises for change. In fact, digital transformation spending is set to increase by 42 percent by the end of 2019, according to IDC. Firms are turning to DNA Center to take advantage of digital transformation and retain a competitive edge while ensuring networks are secure with optimal performance. To get buy-in from relevant stakeholders and to take full advantage of DNA Center’s positioning for smart growth, firms would do well to consider a three-step plan for integration: evaluating existing network infrastructure, determining an upgrade timeline, and analyzing budgets. Your network: Cisco recommends increasing your maximum transmission unit (MTU) to 9100s bytes on interfaces across all switches and routers to meet the needs of SD-Access. SD-Access fabric can be used on traditional hierarchical networks as well as other topologies. Software requirements: SD-Access can run on top of individual virtual machines or dedicated appliances for DNA Center and Identity Service Engine (ISE) depending on your organization’s needs. Parallel installation: This approach installs SD-Access and DNA Center in parallel to your existing network. This simplifies upgrading, in that you can switch back to your existing network if needed, but also is more expensive in terms of resource demand due to running two networks until the upgrade is complete. Incremental installation: With this approach, one switch is upgraded at a time. This approach stretches integration over a longer timeframe but is less expensive due to requiring less space and power compared to a parallel installation. Another consideration for your upgrade timeline is the larger impact of integration. For example, once DNA Center is integrated, what employee training will be required? What systems and processes will be impacted (and for how long)? Considering the impact across your entire organization can help organizations develop a realistic timeline and budget for integration. Increased efficiency: IT staff members spend up to 43 percent of their time troubleshooting technical issues. DNA Center provides automated troubleshooting tools to free up your team to focus on larger technology goals. Automated, policy-driven provisioning eliminates manual tasks that are time-consuming and prone to human error. Investing in DNA Center allows your IT team to do more with less. Network stability: The benefits extend beyond the IT department, though. DNA Center’s predictive analytics provide insights that improve the network for the entire organization. Expensive downtime is significantly decreased, and customers and employees alike have an improved experience. Enhanced security: Recent security breaches have driven home the importance of cybersecurity. DNA Center’s tools for microsegmentation and automated policy setting tools harden network security. Keeping up with IoT demands: Customers and employees alike are placing increased demands on your network, both in terms of network performance and security. DNA Center provides an elegant solution, allowing you to manage endpoints from a single dashboard. Digital transformation: Organizations have more data on customers than ever before, which can be used to enhance and personalize the customer experience, increasing loyalty and, under the right circumstances, revenue. DNA Center helps organizations keep a competitive advantage. Organizations using DNA Center see increased revenue and decreased downtime. As you compare the benefits of DNA Center to your larger organizational goals, you may uncover budget areas that can be increased or reworked. 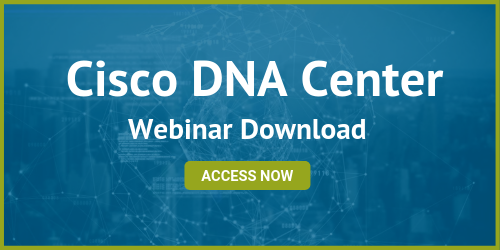 With the clear benefits of DNA Center in terms of security, network performance, and efficiency, integration will help increase revenue and reduce operating expenses while moving your organization toward larger, growth-oriented goals. Organizations considering DNA Center integration often turn to a trusted partner. Acadia Technology Group provides real-world solutions tailored to your organization’s needs and objectives. Contact us today to find out more about how integrating Cisco DNA Center will move your business forward.